Nobody in Jacksonville provides the quality HVAC diagnostics that Howard Services Air Conditioning does. Our techs are factory trained, insured, certified, background checked, drug-free, and friendly. We know these things are important to you, so all of these are part of Howard Services Air Conditioning’s HVAC diagnostic services. Our technicians receive extensive factory training allowing them to quickly pinpoint issues, make accurate assessments, and provide the right solutions. We will always keep you informed and offer insightful, knowledgeable recommendations during your service visit —only proceeding with repairs with your consent. We pride ourselves on our customer’s satisfaction and our technical expertise. 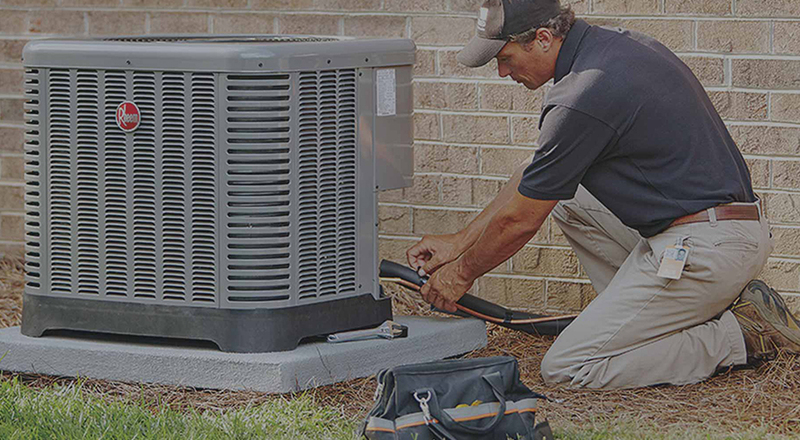 When your home’s heating or cooling system is not working properly, you need to call air conditioning professionals you can trust — Howard Services Air Conditioning. With more than 50 years of experience diagnosing heating and air condition systems, we provide HVAC diagnostics that are accurate and helpful the first time, getting you back to being comfortable in no time. Often, a consumer will look for the least expensive option or company to diagnose their homes heating or cooling issue. But sadly, these homeowners end up spending more on diagnoses and repair in the long run because of the cheaper company’s lack of training or knowledge. At Howard Services Air Conditioning, we diagnose the problem, present you with a solution, and perform the needed repair with your approval. Call us today and breathe easy knowing we will save you money by handling your HVAC problem right the first time.